Huawei is well know MNC for its good quality prodects and services, Huawei at its pre IFA 2014 event on Thursday has launched its NEW Phablet –THE ASCEND MATE 7. The company has also said that this phablet will be releasing the Huawei ACEND MATE 7 in 30 well known markets during this quarter , starting with prestigious countries like China, France, Germany, Hong Kong, Italy, Spain, and UK. This interesting 16GB variant will be priced at EURO 499 (approx. Rs. 39,000) while its 32GB variant will be priced at 599 EURO (approx. Rs. 47,000). Huawei has also introduced a new technique by putting a finger printing scanner at the back of ASCEND MATE 7, similar to HTC one MAX. Huawei also states that it can support up to five sets of different fingerprints, in regular and Guest modes. Single-sim ASCEND MATE 7 . It runs on Android 4.4 KitKat OS. It has EMUI 3.0 skinned on top. 6 Inch full-HD Display (1080×1920) IPS display that offers 368ppi with corning gorilla glass 3. ASCEND MATE 7 has an octa-core (1.8Ghz A15 + 1.3Ghz A7) kirin 925Soc with Mali T628 GPU. ASCEND MATE 7 variant of 16GB will come with 2GB RAM and 32GB variant will come with 3GB RAM. Internal storage can also be expanded via MicroSD card up to 32GB. The ASCEND MATE 7 has 13MP camera with sony’s fourth-GEN BSI sensor and LED flash and while 5MP front facing camera . 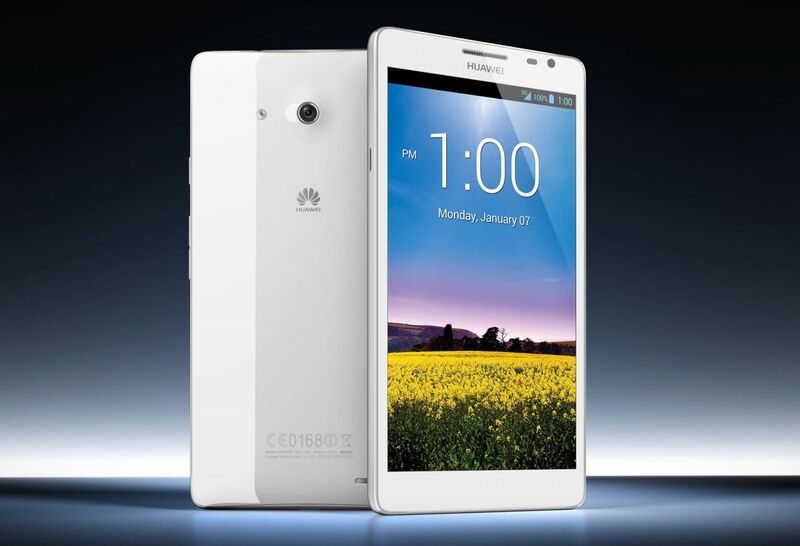 The ASCEND MATE 7 has included Wi-Fi, Bluetooth, NFC, GPRS/EDGE, GPS/A-GPS, 3G and 4G LTE cat 6 connectivity also available . 4100mAh Li-polymer battery and weighs 185grams.